Since 1948, Barnett clutch plates and springs have been made from the finest materials available. Through research and development, Barnett is constantly striving to offer the best possible friction material for your motorcycle or ATV. Barnett tempered steel drive plates go through a vibratory deburring process and then are quality checked for flatness to provide optimum performance. 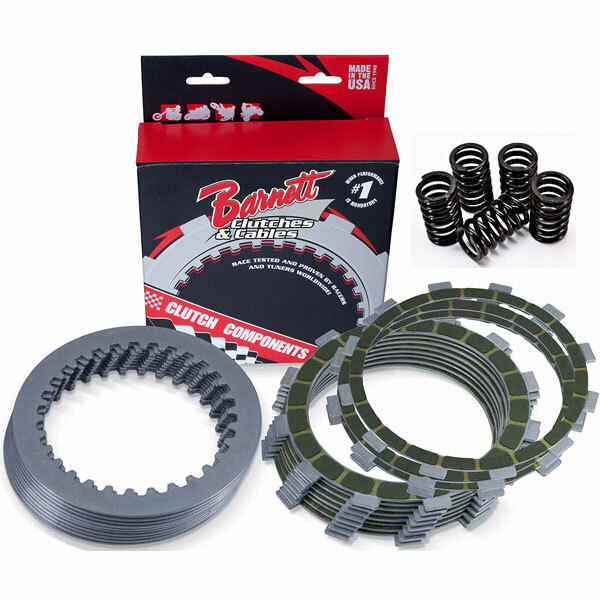 Heavy duty Barnett clutch springs are pre-set, shot-peened, and heat treated for performance and durability.